We already know Samsung plans to release an improved version of the Galaxy S6 edge since the South Korean company has just trademarked the Galaxy S6 edge+ name less than two weeks ago. However, not much is known about the improvements the Galaxy S6 edge Plus will pack over the standard model. 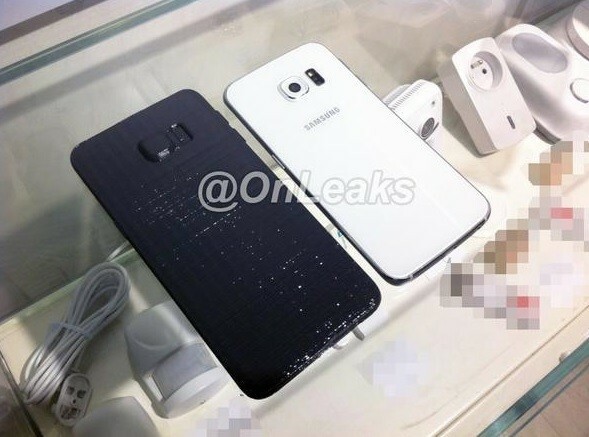 We do know however, that the smartphone is more than likely to be unveiled along with the Galaxy Note 5 in late August or early September. And now thanks to SamMobile we also have some info on the smartphone's specs sheet. Judging by these leaked details, many Samsung fans will be disappointed that the South Korean company skipped some of the features that are missing in the Galaxy S6 edge as well. We're talking about microSD card slot and removable battery, which are likely to lack in the Galaxy S6 edge Plus mode. According to the cited source, Samsung Galaxy S6 edge Plus will feature the same glass back coating like its smaller twin. This means that it will most likely lack a microSD card slot and that the battery will be non-removable. Aside from that, we also know that the smartphone will sport a 5.7-inch Super AMOLED display that will feature Quad HD (2560 x 1440 pixels) resolution. The Galaxy S6 edge Plus won't be equipped with a homegrown Exynos chipset, instead Samsung seems to have been opted for Qualcomm's Snapdragon 808 chipset that features a hexa-core processor. Furthermore, the handset will pack 32GB of internal storage, a 16-megapixel rear-facing camera with OIS (optical image stabilization) and 4K video recording, as well as secondary 5-megapixel camera in the front. Last but not least, Samsung Galaxy S6 edge Plus is said to come with a fix for TouchWiz RAM issues currently affecting the Galaxy S6 and Galaxy S6 edge.